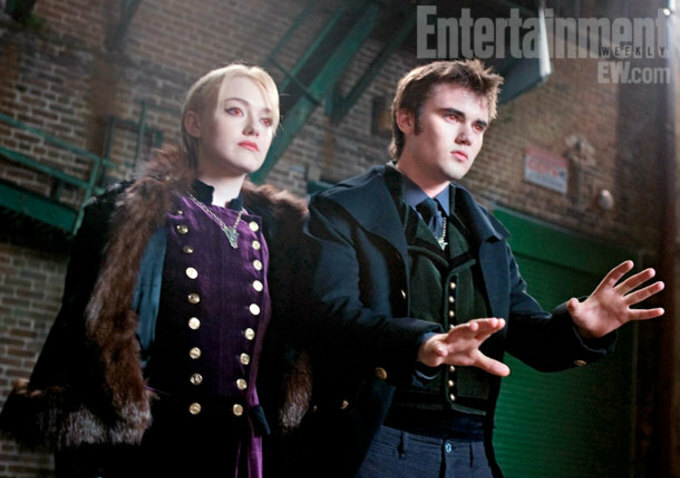 Oh hey, remember Twilight? That book that was a movie that spawned a gazillion-dollar franchise before The Hunger Games and Fifty Shades of Grey made you momentarily forget about sparkly vampires? 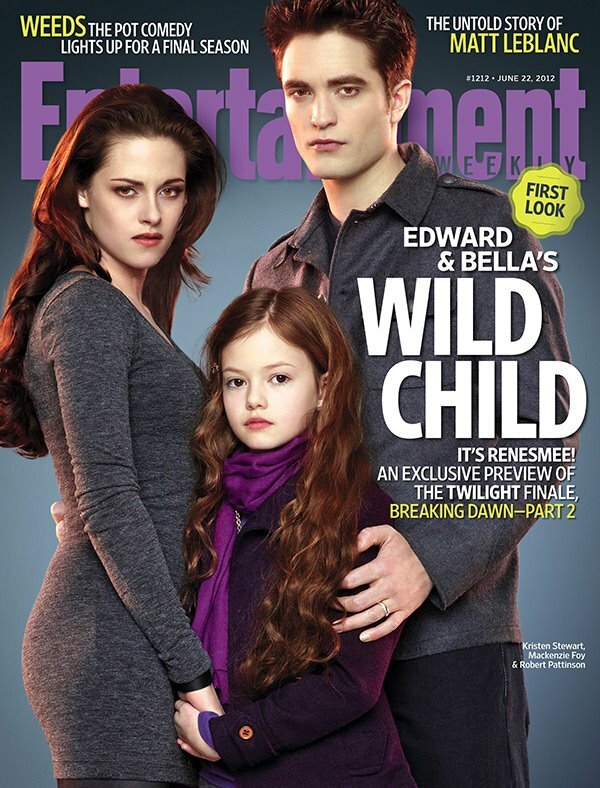 Well, it's back, and the latest EW cover serves to remind us all that Breaking Dawn - Part 2 — the franchise ender, due in November — is just on the horizon. 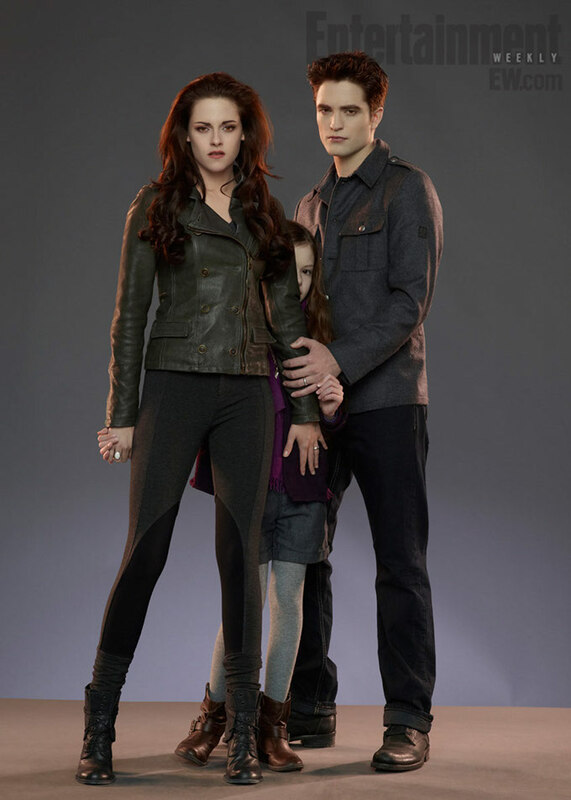 Forthwith, your first look at Vampire Bella, Daddy Edward, and, uh, Uncle Jacob with Breaking Dawn's preternaturally mature baby Renesmee. 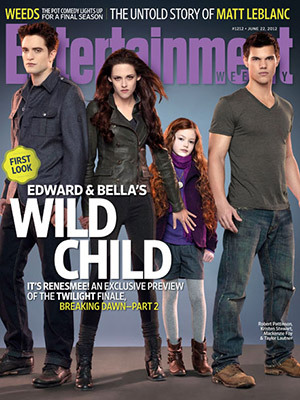 EW teases their June 22 issue with family portraits of Bella (Kristen Stewart), Edward (Robert Pattinson), Jacob (Taylor Lautner), and little Renesmee, a new character introduced in Breaking Dawn - Part 2. Per Stephenie Meyer's final Twilight novel, Renesmee is the half-human, half-vampire baby whose birth pretty much kills Bella at the end of Breaking Dawn - Part 1, necessitating Bella's transformation into a vampire and kicking off the final chapter of zany events in the series. Among the stranger details of Breaking Dawn - Part 2: Renesmee is a hybrid creature baby who grows at an accelerated rate, hence why she looks more like Siri Cruise than a normal infant. 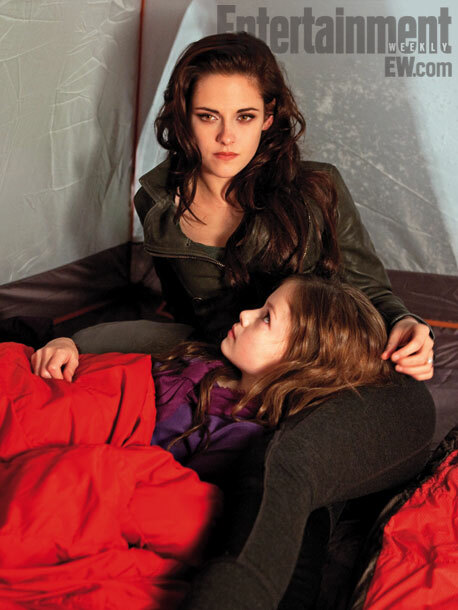 Eleven-year-old newcomer Mackenzie Foy nabbed the role of Renesmee, and from the looks of EW's preview she gets considerable face time with not only her vampire parents (and Jacob — more on that in a bit) but with the various assembled international vampires that gather to rally around the Cullen clan as the evil Volturi vamps head to America to wipe them out. 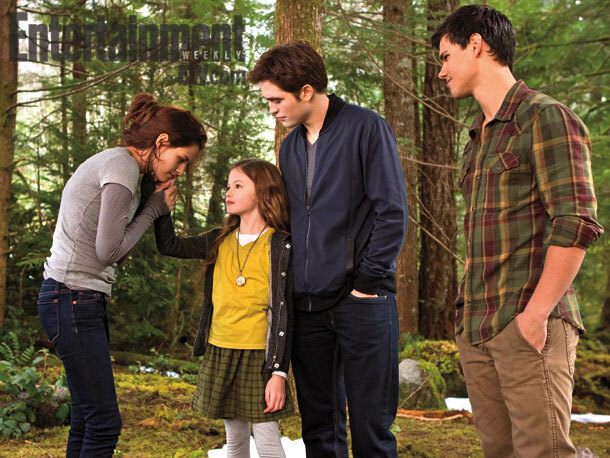 ...but let's talk about Jacob and Renesmee and the love that dare not speak its name: Imprinting. Well, good luck to Lautner. 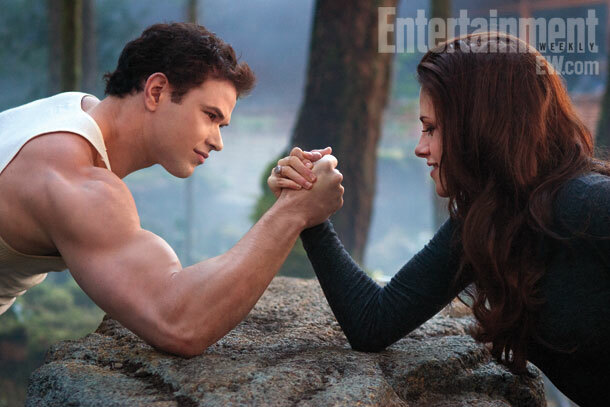 I don't care if Stewart had to wear uncomfortable contact lenses, he's officially got the hardest job of anyone on Twilight. 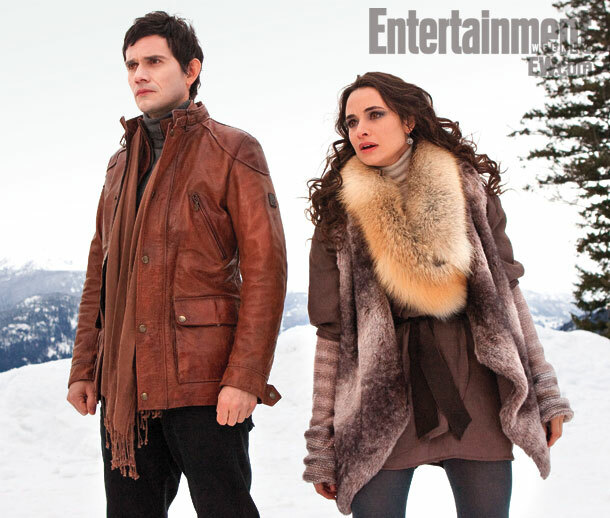 Look for more in EW's June 22 issue.